It has been some time since I released a new pattern. Life was busy in 2016 with a house remodel (almost done!!! ), and a secret project (can't wait to share this November). I decided to spend my time designing a pattern and donate the proceeds to an organization that does amazing work - Planned Parenthood. I don't use this platform to share my political views and like to think of this as a "happy place" to share my pretty projects and inspire your amazing creativity. But, In my feelings of despair with the state of leadership in the United States, I decided to use this platform and my love to design as a way to "pay it forward" by donating the proceeds from this pattern to organizations I support. I understand that not everyone is in a position to share their political views for fear of losing customers and support. Fortunately, I am in a position to share my political views and use my voice for what I see as good. So....for the month of February I will be donating all the proceed from the sale of this pattern to Planned Parenthood. Thank you for giving me away to support Planned parenthood from Australia, I've watched with despair that I couldn't do anything to support women in America, but with this I can just a little bit. And it's an adorable pattern. Thank you. I agree and we need all the support we can get in USA. Thank you, Charise, for putting yourself out there like this. I am in agreement with you concerning the state of our country. I will be buying the pattern. 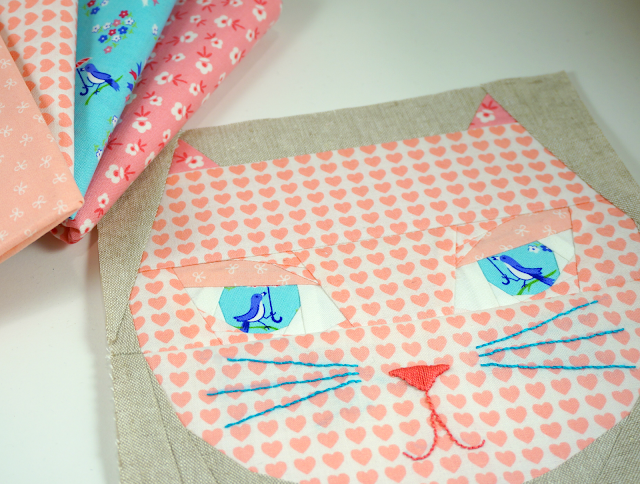 And I have to say, I love the fabric you used for the cat's eyes! That is so clever. I'm not really a cat person, but your pattern is so cute, and I like the color you made it. Very brave of you. Glad to support your project. And the kitty is so cute! So glad you decide to speak so clearly!! Love it, what a great idea and to support PP. How very very very sad. I spent many years in a pro-life pregnancy center doing ultrasounds to help young women get a view into their wombs at the precious life that resided there. Planned Parenthood is a marvelous place to go to destroy that life and to set those young women on a path of regret and worse. I was one of those young women that Planned Parenthood "helped" destroy my tiny precious baby decades ago. I also spent many years counseling those whose lives had become unbearable after making that "choice." I cannot even begin to express the grief and misery I saw in those women. Sad. Very sad. Good for you for being true to yourself! And for benefitting a very deserving organization! I love the pattern and was thinking about buying it, but once I saw that you're donating to PP, I stopped thinking. It's now a must buy! Thank you for supporting them. I know women whose lives have been saved by having access to good reproductive healthcare from PP, and I'm not talking about abortions. I also relied on PP when in grad school and didn't have insurance to pay for my annual check ups. What a sweet pattern; with the added bonus of your support of Planned Parenthood, I'm looking forward to making a purchase! Your pattern is amazingly cute! I am going to be a first time grandmother of a baby girl and this would be a darling block for a quilt for her. 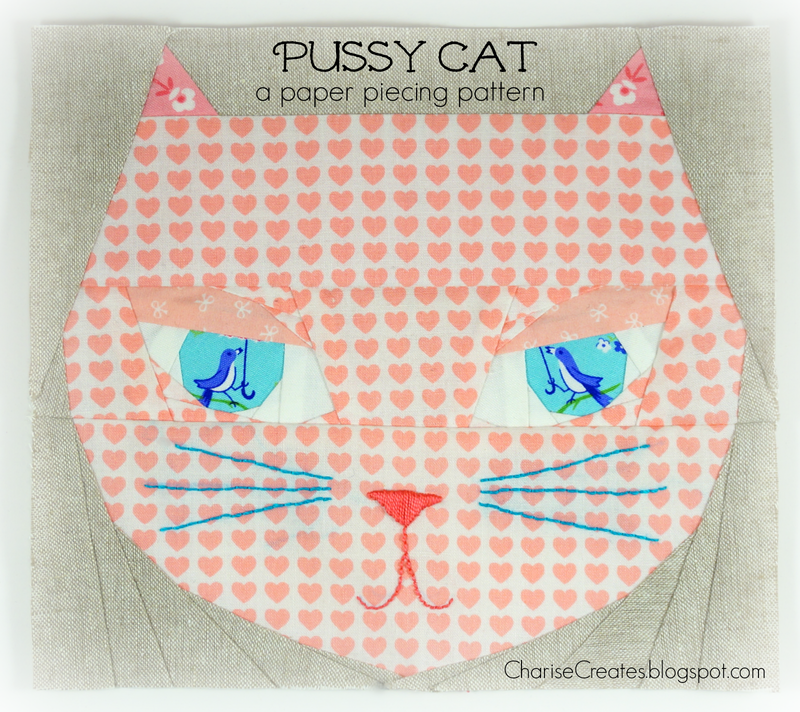 I can see a quilt full of paper pieced cat blocks! A bonus is your support for Planned Parenthood. They offer valuable services to women who otherwise could not get reproductive healthcare. Thank you for taking a stand.